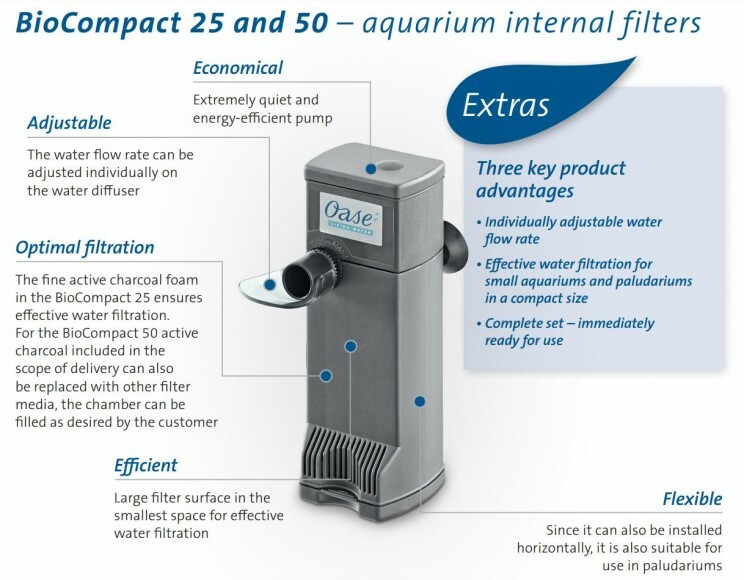 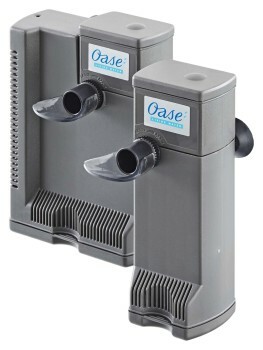 The OASE BioCompact 25 is a compact biological and mechanical filter with integral pump, for use in smaller marine or fresh water aquariums up to 25 litres (5.5 Gallons). 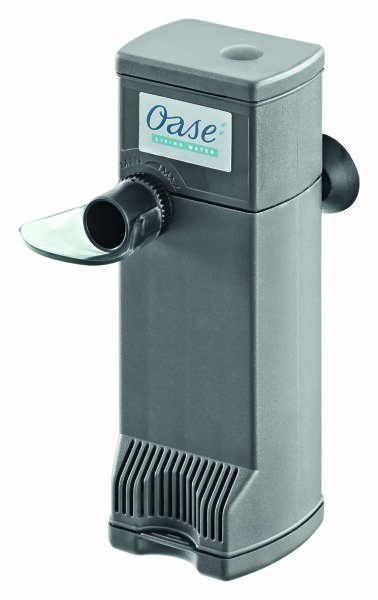 The BioCompact can be vertically or horizontally mounted, making this ideal for use in paludariums also. 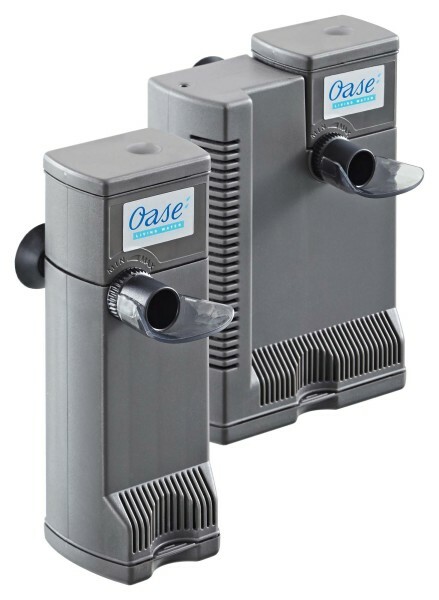 The fully submersible 240L/Hour pump is concealed in the top section of the filter and is both quite and energy efficient, consuming only 5 watts during operation. The pumped water flow can be easily adjusted from 120-240 litres/hour via the adjustable outlet nozzle. 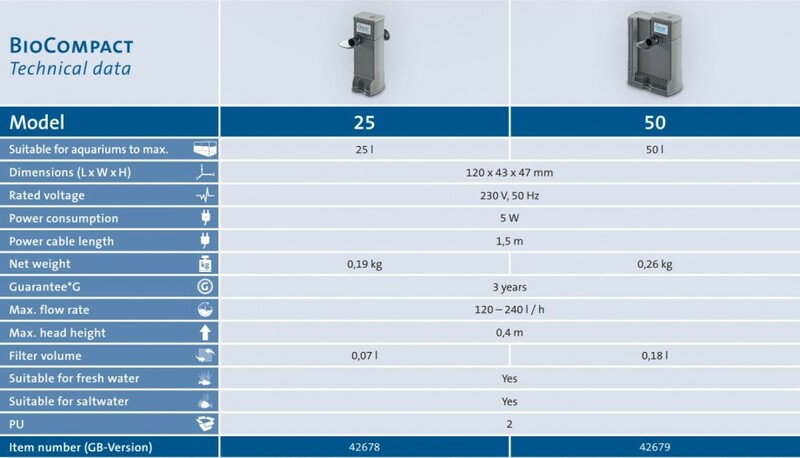 Inside the filter segment there are various foams for mechanical removal of debris and for biological settlement, offering a large filtration surface area in a very compact footprint. 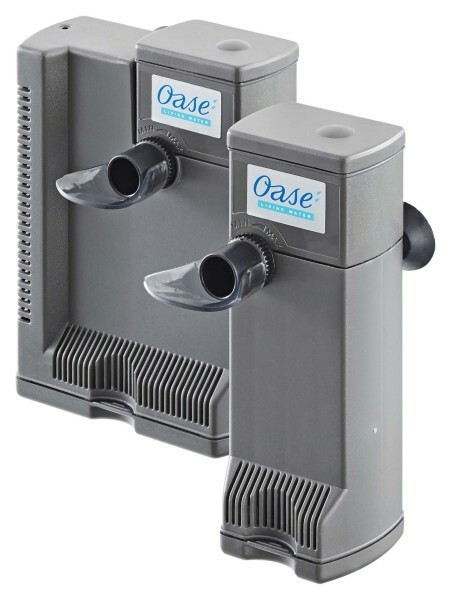 The BioCompact also features activated charcoal foam to ensure effective water filtration and crystal clear water quality.